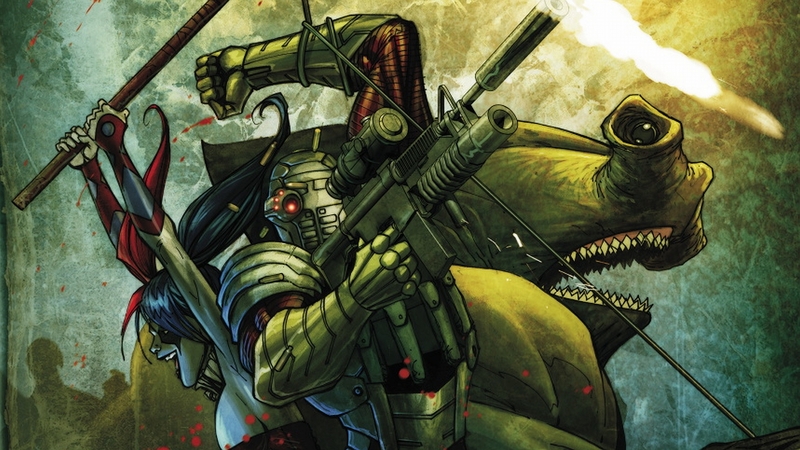 Here's what you need to know about the Suicide Squad before David Ayer's big screen adaptation in 2016. 4. Who Will Be The “Villain”? This is arguably the problem with any movie focusing on a team of villains! Who could possibly be bad enough for this team to be brought together? There are a number of lesser known characters they’ve taken aim against over the years, and it could be that we see the Suicide Squad taking on a fellow team of villains. Another possibility if that a superhero who the government wants to take down could be their target, though someone along the lines of Deathstroke would also make for a good foe. They’ve gone after terrorist organisations too, so there are many directions that Warner Bros. and David Ayer could take the movie in. Basically, they don’t really have a defining bad guy, so the door is open to anyone and everyone right now! Josh Wilding knows everything there is to know about Comic Book Movies. We challenge you to find something he doesn't know about all things Marvel and DC.